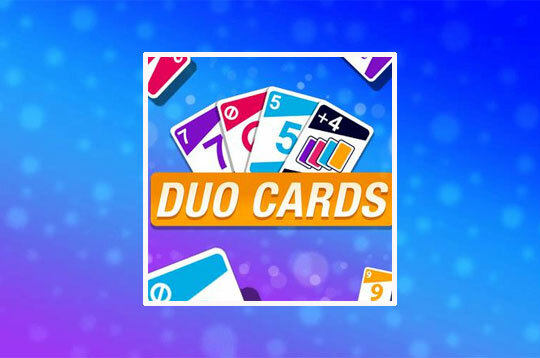 Duo Cards is a card game inspired by the famous and consecrated Uno. Here are the rules: the deck consists of four-colored cards: green, yellow, red and blue. The rows of each color range from 0 to 9. There are three special actions for each type of chart color, identified as "jump", "buy two" and "flip". There are also special action cards with black background, "joker" and "joker buy four". For each regular or action card, there are two of them in the deck, with the exception of 0, which only has one unit. There are four "jokers that change color" and four "buy four jokers", which results in a total of 108 cards. To differentiate 6 from 9, an underscore is used underneath the respective letter. - Play Duo Cards Free and Enjoy!